Best for studio works and jamming with loud western musical instruments can be tuned to C#,D, D# and even to E if required. 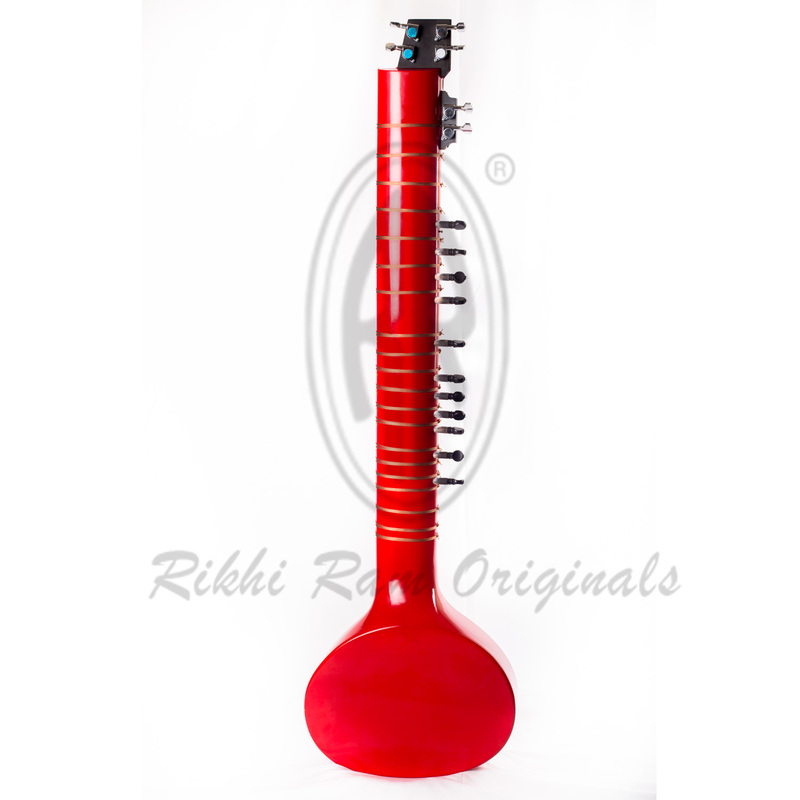 A new trendy innovation designed by Ajay,keeping in mind the new generations penchant for designer instruments. 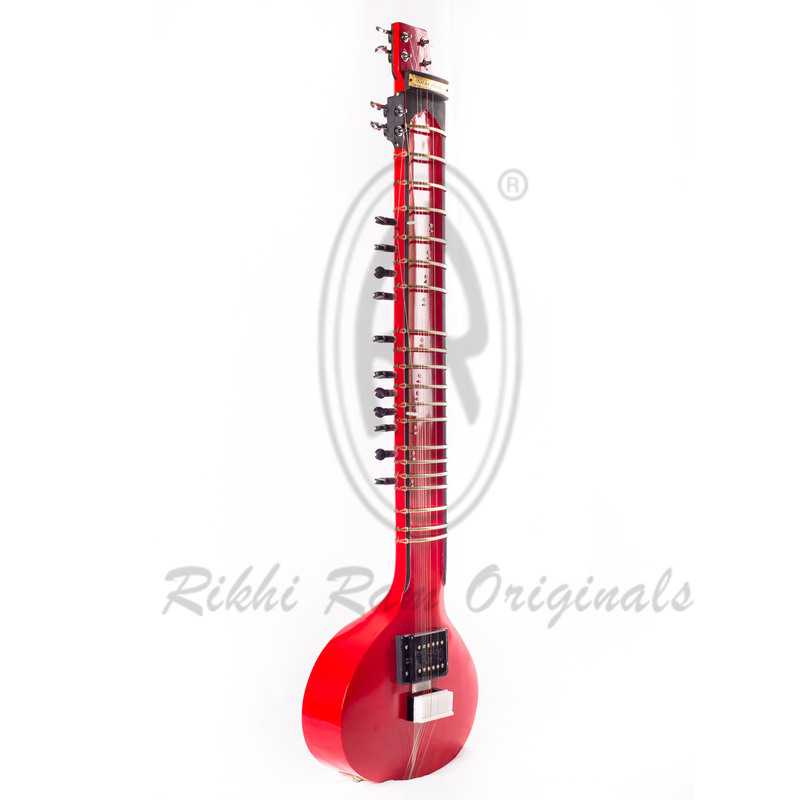 A flat base RED sitar made from one piece well seasoned teak wood, fitted with die casted machine heads for easy and stable tuning of the main strings and traditional wooden pegs for tarabs.The sitar has simple Ebony wood inlay & was specially designed for Niladri Kumar. 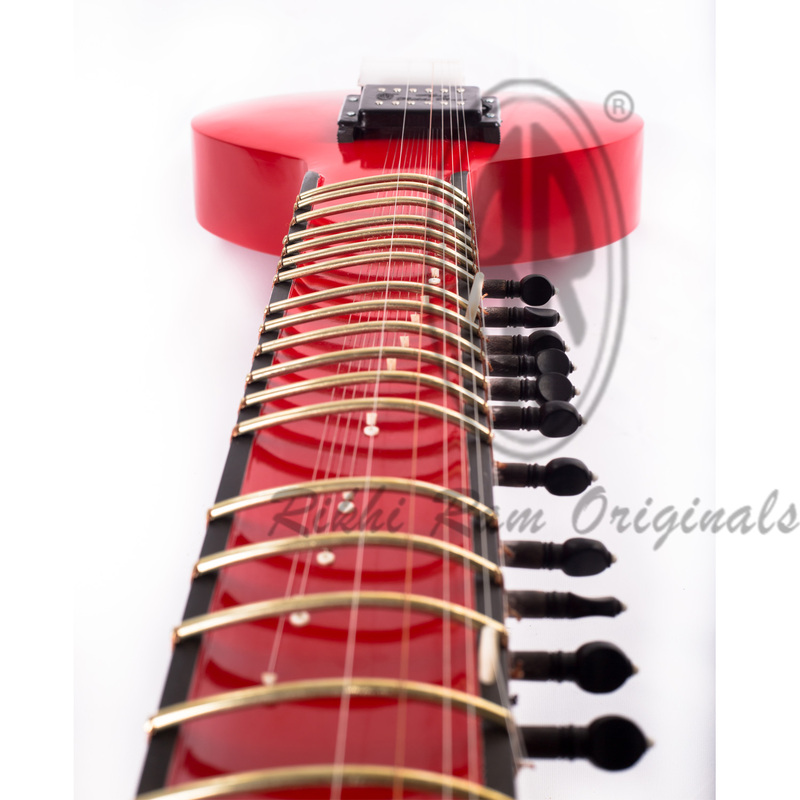 Fitted with all new hum backing pick-up specially designed by ajay for amplification of our electric sitars, without any kind of humming & not sacrificing the tonal quality of an original sitar sound. Easier to handle,travel and amplify.